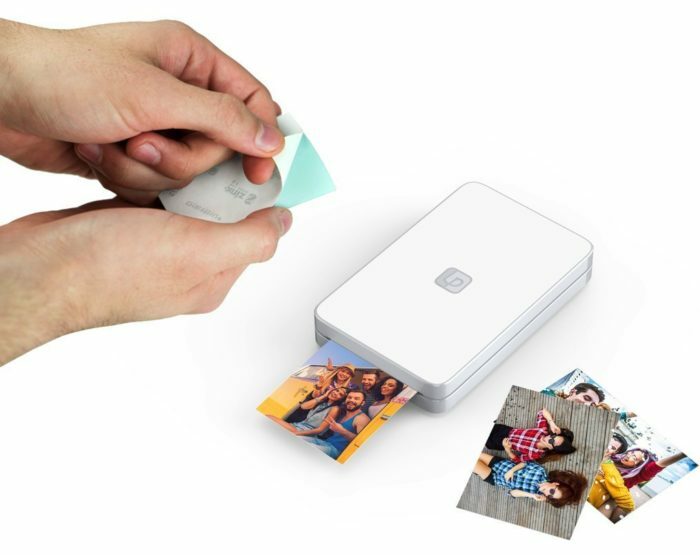 2.9 x 0.9 x 4.6"
The Lifeprint 2×3 Portable Photo And Video Printer is yet another fabulous little portable photo printer, producing high quality 2 x 3” photos. It is similar in size and price to the well known HP Sprocket and Polaroid Zip printers, however the high functionality of the Lifeprint Photo App and the ability to print videos from any social media platform sets this device above the rest. So how does the Lifeprint 2×3 photo printer actually print videos? It’s all thanks to the Lifeprint Photo App and revolutionary augmented reality technology. The app will sync with your social media accounts (Facebook, Instagram, Twitter, Snapchat) as well as your camera roll and GoPro so that you can instantly select the media you want to print – there is no need to download the file to your phone first. Prints that are of a video or moving clip are known as HyperPhotos. To print a HyperPhoto, first select the video you want through the app, and the image that you wish to print. This image can be a still frame from the video, or a completely unrelated image! The LifePrint printer will print this image with a hidden barcode that is invisible to the human eye. The final step is to take your phone and view your newly printed photo through the LifePrint app – you will notice that the image all of a sudden springs to life! This is because the app links the hidden barcode back to the video you initially selected, and uses augmented reality to project the moving image over the print. Pretty neat! Lifeprint have also created a social network for sharing photos. You and your friends can set up a Lifeprint profile via the app which allows you to link your printer to the network. You can send your photos through the app to your friends and, once they accept, the photo will be instantly printed from their printer anywhere around the world. You and your friends can also like and comment on the shared photos. Another great feature of the Lifeprint App is the ability to edit any image before printing or sending it by cropping or drawing, and adding filters, text or stickers. Lifeprint prints on the same Zink Zero Ink 2×3”photo paper as the HP Sprocket and Polaroid Zip. This paper has layers of heat sensitive crystals embedded with magenta, cyan and yellow dyes. As the paper feeds through, thermal heads within the printer heat the crystals at different rates, releasing specific amounts of each colour dye. This allows the paper to enter the printer as a plain white sheet, and come out as a vibrant printed image! This technology is beneficial as it means the printer doesn’t require any messy toner or ink. It also reduces the amount of moving parts within the printer which in turn reduces the likelihood of a fault and extends the printer’s life. 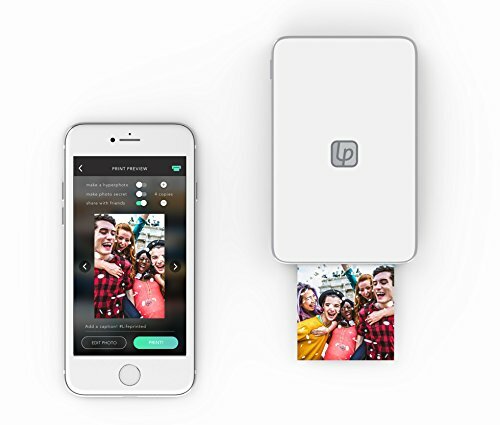 The Lifeprint 2×3 photo printer is compatible with most Android and iOS devices, and connects wirelessley via BlueTooth from up to 30 ft away. It is also a highly compact and lightweight device, perfect for travelling with or taking to parties and gatherings. It takes about 30 seconds to print a photo, and can print up to 20 photos on one power charge. 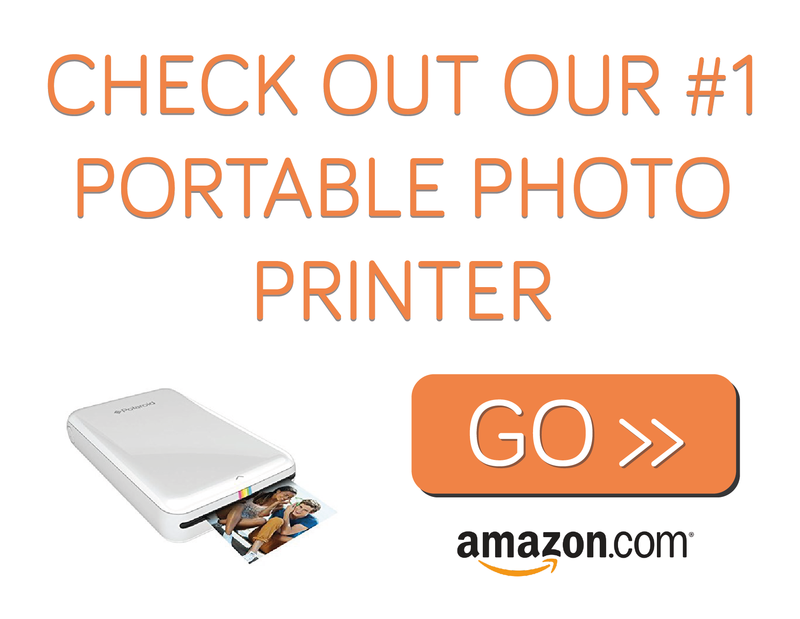 We highly recommend the Lifeprint 2×3 Portable Photo + Video Printer. This device costs the same as a standard 2×3”printer but is better value for money as no other printer can print HyperPhotos and bring your images and videos to life through augmented reality. 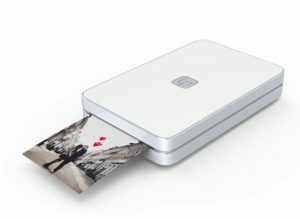 Despite this increased functionality, Lifeprint still haven’t compromised on image quality as, thanks to Zink Zero Ink paper, each photo is beautifully sharp and vibrant, and the device itself is still compact and portable. A great buy for anyone who wants to print, keep and share their memories in still and moving media.